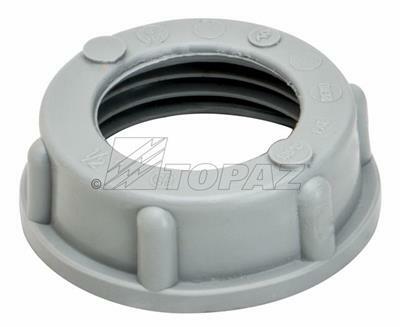 838 Rigid Plastic Bushing 3"
Topaz’s Rigid insulating bushings offer maximum protection for cables to avoid damaging abrasion due to sharp Rigid edges. Ideal for use in communications, television and security system installations. 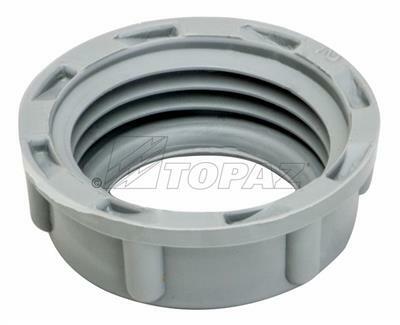 Bushings provide smooth, rounded surfaces at the ends of raceways and easily affixes to conduit; strong, impact resistant plastic construction assures continued performance. Certified flame retardant to 105°C. Always available in trade sizes from 1/2” to 6”.